KAMPALA – Government has been dragged to court by three Arua treason suspects seeking compensation for the alleged permanent injuries that were inflicted to them by the Arua District police commandant Julius Musinguzi and the army. In their suit filed before the High Court Civil division, the three who include: Night Asara Eyoru, Shaban Atiku and Jane Abola state that on the August 13, 2018, while at Royal Hotel in Arua at about 7 pm, military men and police under the command of one Musinguzi raided their hotel rooms, assaulted them through beatings and kicking while coercing them to tell them (police) the whereabouts of Kyandondo East MP Robert Kyagulanyi alias Bobi Wine. The respondent, in this case, is the Attorney General. 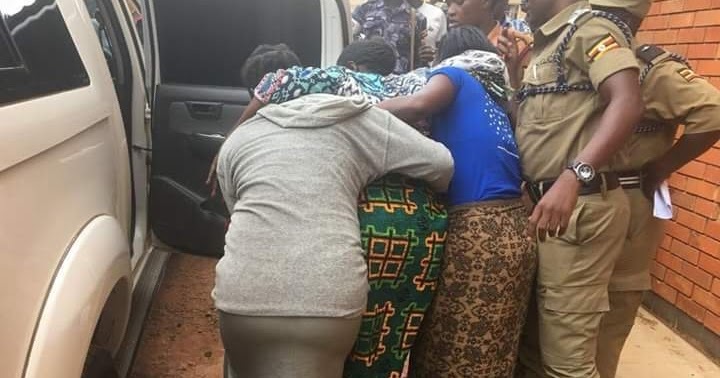 The trios contend that the police dragged them out of the hotel and dumped them in Arua police cells from where they were sprayed with an acidic solution which they claim has since impaired their seeing and hearing senses. “Due to the severe beatings and kickings, we are now nursing broken backs, limps and constant abdominal pains to which we seek orders that government facilitates our treatment abroad as doctors here cannot manage our condition given our deteriorating health of seven months after the incident,” reads part of the court documents. The trio, through their human rights lawyer Ladislous Rwakafuuzi, has asked the court to declare that it is a violation of their liberties guaranteed in the Constitution for the state to sanction treason charges against them whose particulars and evidence are wanting. They further want the court to recall Musinguzi of his duties and declare him as unfit to be a public servant. The Three plaintiffs are today appearing alongside 35 other people including MPs Robert Kyagulanyi, Kassiano Wadiri, and Francis Zzake for mention of this treason case before the Arua Chief Magistrate’s court. The charges stem from acts of alleged stoning of the presidential motorcade during a political rally to fill the vacancy of Arua Municipality MP following the murder of NRM’s Ibrahim Abiriga.